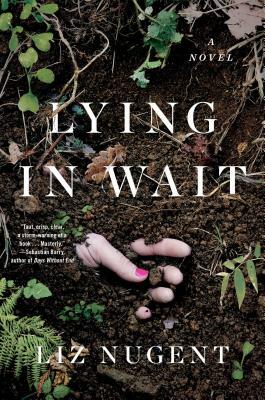 "Like Unraveling Oliver (2017), this is a whydunit, not a whodunit, and the real meat lies in Nugent's exploration of motherhood, mental illness, and what could drive a person to murder... A page-turner chock full of lies and betrayals and a very creepy mother-son relationship." "A devastating psychological thriller... Lydia is the most intriguing puzzle; equal parts victim and villain, she simultaneously inspires pity, outrage, and horror. The result is an exquisitely uncomfortable, utterly captivating reading experience." "[A] chilling tale of the sociopathic mind… Readers who love sinister psychological thrillers will tear through these pages." “Nugent introduces an unforgettable cast of characters in this tour de force…astonishing....everyone should grab it the second it appears." "Just when you think you have things figured out, Nugent throws everything off-kilter again. All of the primary characters --- including the dead woman, Annie --- are complicated and well-rounded...and defy easy categorization as “villain” or “hero.” Readers who first encountered Nugent’s work only recently will be thrilled with this new-to-us thriller --- and will be thronging for even more of her excellent work to make its way across the pond." "Perfect for those who have already read A Woman in the Window and are looking for a new gripping read."